No Man’s Sky is one of the most eagerly awaited video games of the last decade; this is in large part due to the sheer scale of exploration on offer. Players inhabit a procedurally generated universe with its accompanying planets, animals, flora and fauna all created via advanced deterministic algorithms. The game is primarily focused around the survival and exploration of an ever-expanding galactic sandbox, so composing a soundtrack to supplement a cosmos of experience was always going to be a tall task. Since 2004’s The Fall Of Math, post-rock stalwarts 65daysofstatic have carved an increasingly glitch-tinged swathe through the instrumental landscape. Built on a foundation of apex-approach melody and D’n’B-inflected rhythms, 65daysofstatic stride this path with guitar, keys, drums and samples. It is the diversity in sound on offer across their back catalogue that will have attracted Hello Games, along with the band’s ability to combine intense electronic beat-drills with awe-inspiring melodies, a blend entirely apt for interplanetary travel. Spread out over two CDs or four LPs, it is Music for an Infinite Universe‘s first half that will feel more familiar to 65daysofstatic’s fanbase with, 2013’s excellent Wild Light the closest touch point. The record ignites with ‘Monolith’, a slow-burning sunrise that evokes the opening scenes of numerous ’80s sci-fi classics. As its distorted synth-horns pulse upward into a percussive prologue, suddenly the volume is rolled back leaving just the sub-bass fluctuating. The effect is intensely cinematic and as the song’s tribal beat sinks its teeth back in, synth-oscillations flutter through the swell and the opening credits of a glitch-infused space opera fade to black. ‘Supermoon’ follows and provides one of the record’s standout moments. Driving, off-kilter drums and unearthly vocals lay the groundwork for one of the band’s trademark piano motifs and instantly you are flying low over alien landscapes, weaving between ancient artefacts and ruins. The arrangement and climatic guitars are straight out of the David Attenborough meets Sigur Rós playbook but, right on queue, the synths glimmer and lift the listener out through the atmosphere and on into extra-terrestrial ethers. ‘Asimov’ charts the same course but similarly to ‘Monolith’ the frantic percussion gives way to a barely-audible synth interlude a few minutes in. The tension builds, cracks open and a genuinely epic half-time melody descends down on a flood of distorted snares and trickling hi-hats. Again the mind is inundated with ’80s alien landscapes from a plethora of cinematic classics. 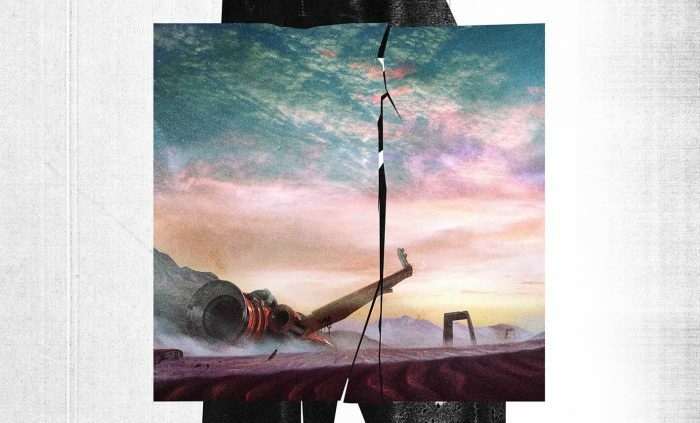 It’s hard to know if the evocations of alien worlds would still be felt without prior knowledge of the thematic context but ultimately 65daysofstatic have written a soundtrack to an anticipated sci-fi classic, so the point is moot. The fact that these evocations are so prominent is testament to a post-rock job well done. 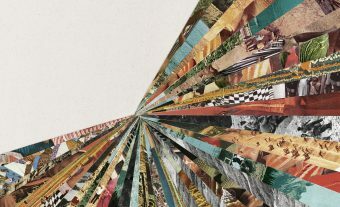 The album’s second disk, ‘Soundscapes’, eschews the more traditional arrangements present on disk one, instead embracing the procedural and experimental nature of the technology at the heart of the game. Although melodically parallel to disk 1 the songs on ‘Soundscapes’ are much longer, more freeform, and often veer down startling glitchy tangents or lull through extended ambient interims. It is these seemingly spontaneous moments that correlate more with the game’s exploratory experience. Together with sound designer Paul Weir and his accompanying procedural audio engine, 65daysofstatic have chopped up a huge quantity of individual moments from the record to be triggered at appropriate moments during gameplay. Disk 2 is a less accessible set of songs but it also harbours the pole star of the record. At twelve minutes, album closer ‘Outlier/EOTWS_Variation1’ is a rewarding protracted orbit that takes in iridescent synth-ambience, haunting piano motifs, the trademark swell of wonder and finally crackles back into a deafening silence. No Man’s Sky: Music For An Infinite Universe not only serves as an impeccably evocative soundtrack to a sci-fi classic in waiting, it also delivers consistent moments of galactic awe and wonder. If afforded the time and patience to delve past the stunning yet more obvious first act, the second movement drags the listener up and out, into stranger and more fulfilling horizons.